I know, I know, such a bad title! Our apologies. Our Farming Team can often be found on the B8007 with their vehicle hazard lights on, and walking our stock from place to place. This photo was taken by Colin our Farm Manager. (Nice to know that he’s keeping warm inside the pick up whilst the Younger Staff brave the cold with the ladies.) 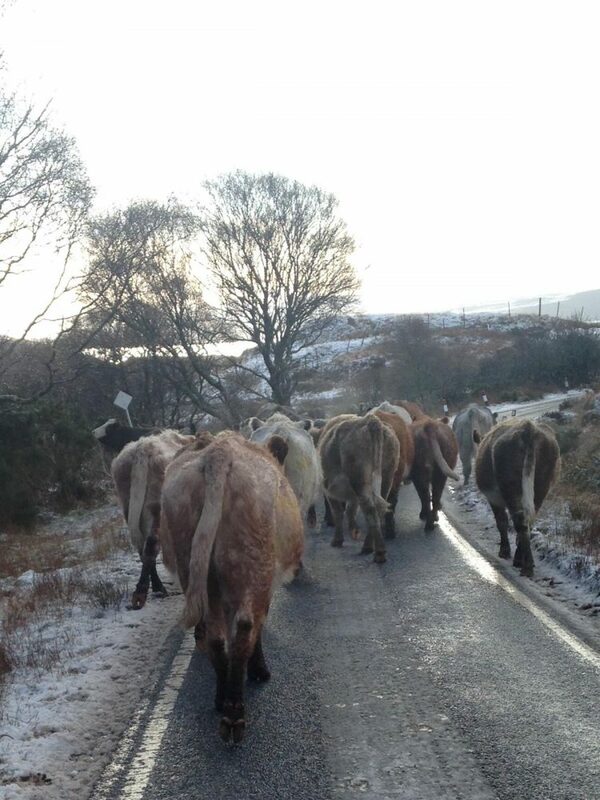 The cows are being shifted from up at Caim nearer to Kilchoan.